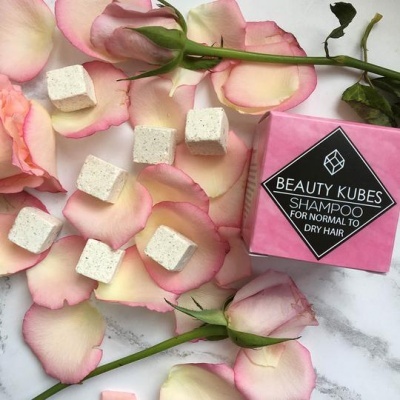 An organic plastic-free shampoo. Zero waste & vegan. 27 organic Beauty Kubes, each perfectly formed for gentle cleansing power for 1 wash. Up to 27 washes. Ideal for normal to dry hair, 100% free from plastic packaging. Ideal for normal to dry hair, 100% free from plastic packaging. 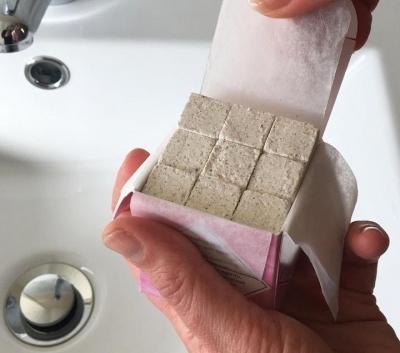 Just take 1 cube into the bath or shower, crumble the dry cube into your hand, then add a little water to make a paste. Just smooth over the hair, add more water and massage into hair to create a luxurious lather.